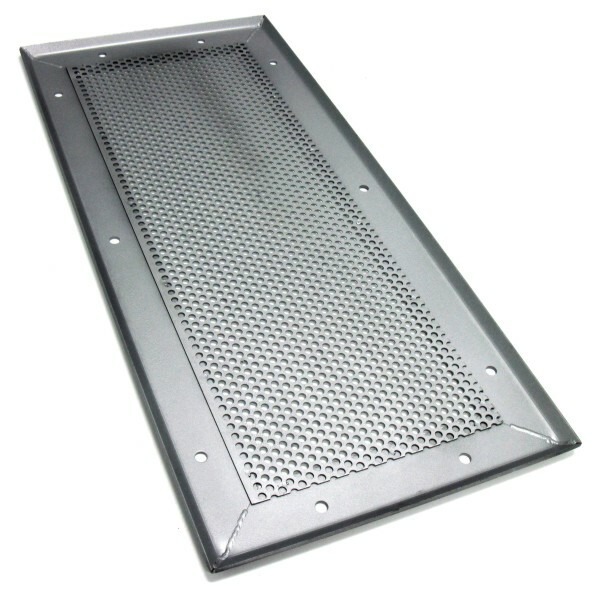 Window Guard Sizes Choose an option13" x 13"13" x 28"30" x 38"
The Perforated Door Window Protection Cover fits over top your window opening to protect it from burglary and vandalism. 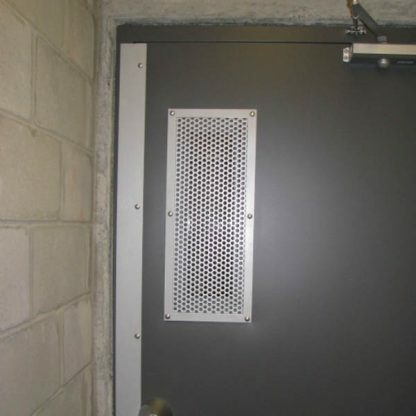 This creates a secure screening that helps to prevent vandalism as well as breaking and entering. 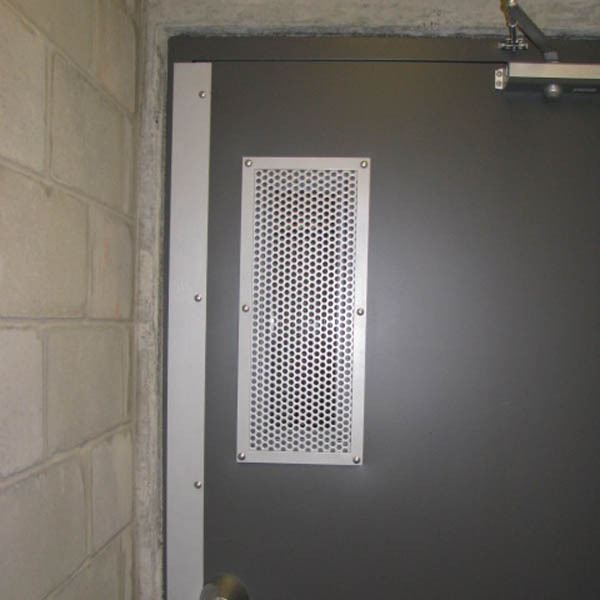 The robust steel Perforated Door Window Protection Cover is a fully visible deterrent to would be trespassers and burglars alike. 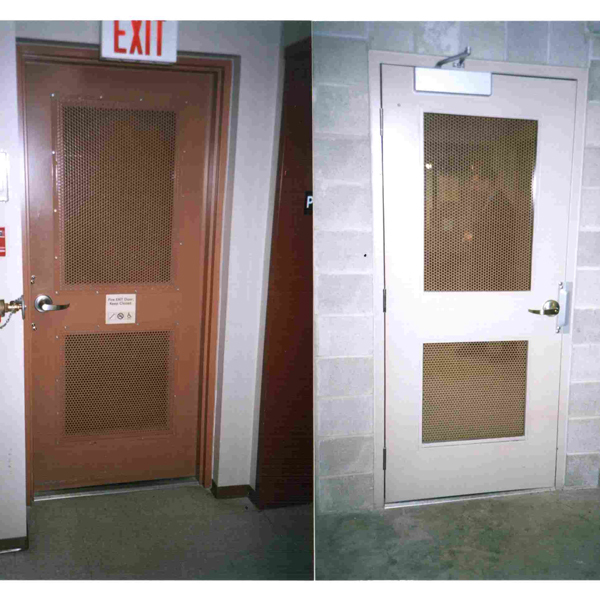 Manufactured from heavy duty steel our window guards are robust, sturdy, and well built. Most of all they feature exceptional strength and impact resistance making them ideal for use in security applications. The perforated panel design permits the entry of natural light through the window opening and allows for visibility to the other side of the door. 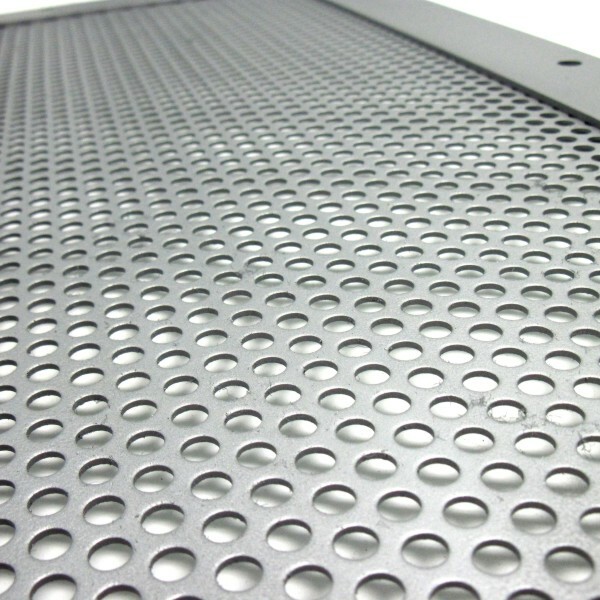 Some common uses for the Perforated Door Window Protection Cover include, but are not limited to, schools, offices, garages, and warehouses. 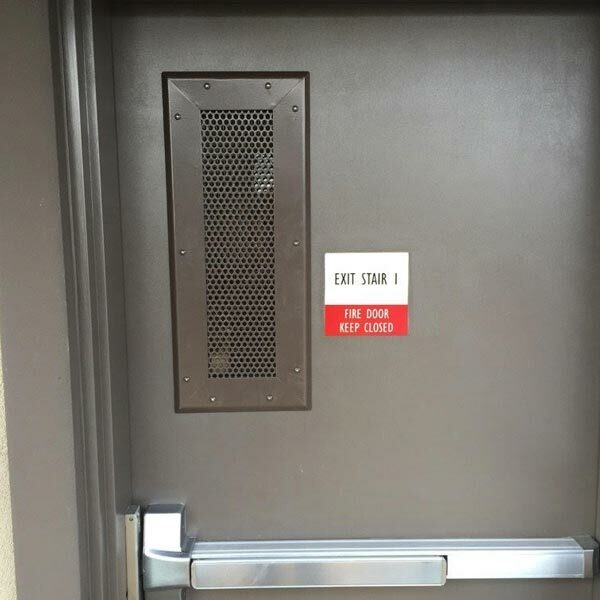 The window cover can be easily installed with carriage bolts through the door. 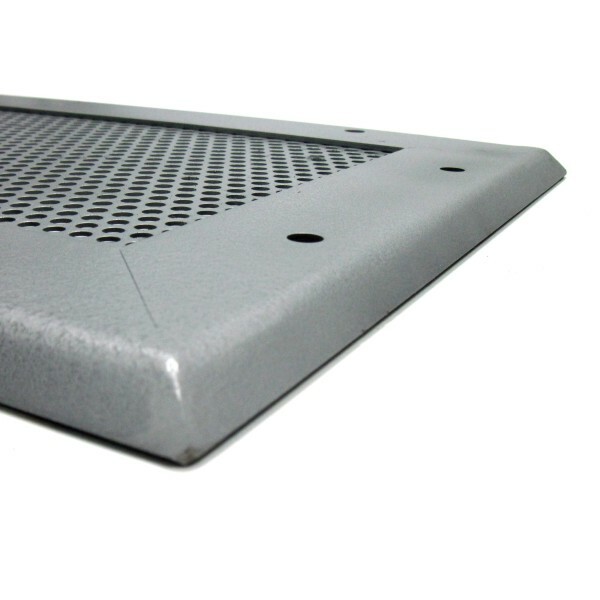 It is available in three most common sizes (other sizes available by special order). It comes in either mild steel painted silver or in stainless steel. Perforated screen 1/4″ hole, 16 gauge steel. The metal frame is 12 gauge CRS. 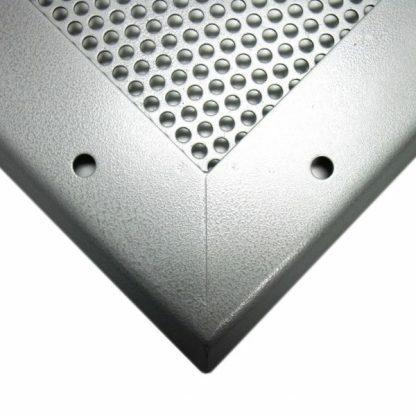 Square mounting holes are 5/16″.